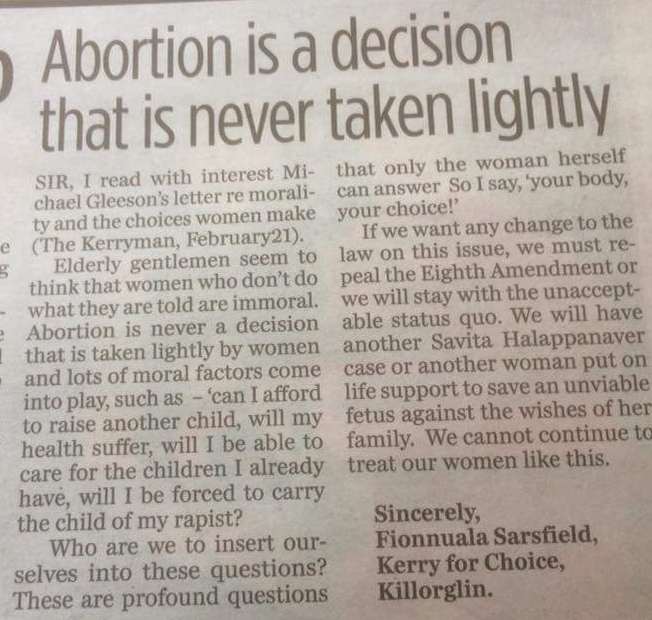 I read with interest Michael Gleeson’s letter re morality and the choices women make (The Kerryman, February 21). 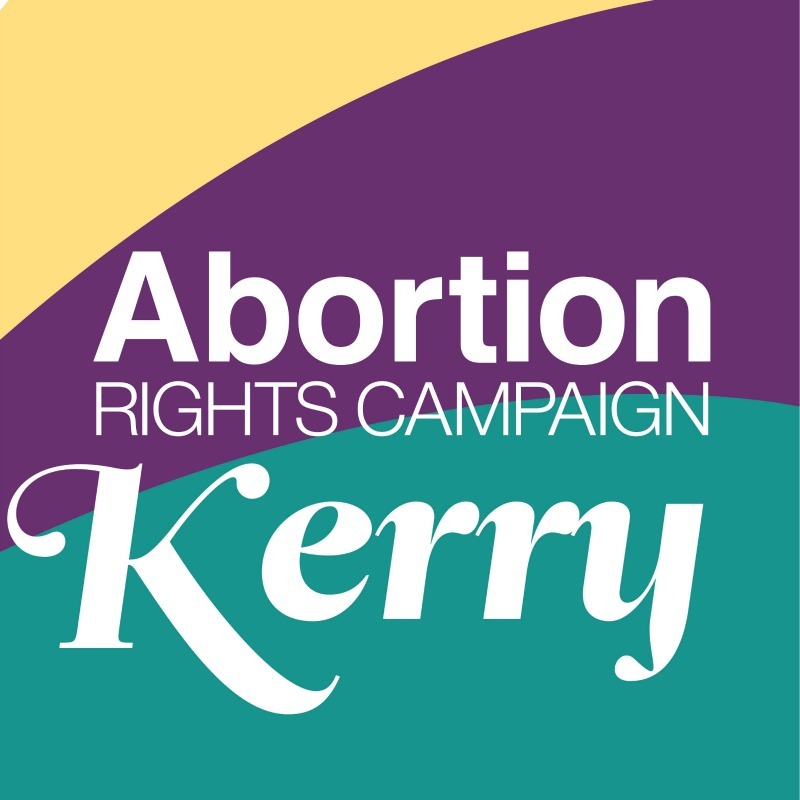 If we want any change to the law on this issue, we must repeal the Eighth Amendment or we will stay with the unacceptable status quo. We will have another Savita Halappanavar case or another woman put on life support to safe an unviable foetus against the wishes of her family. We cannot continue to treat women like this.